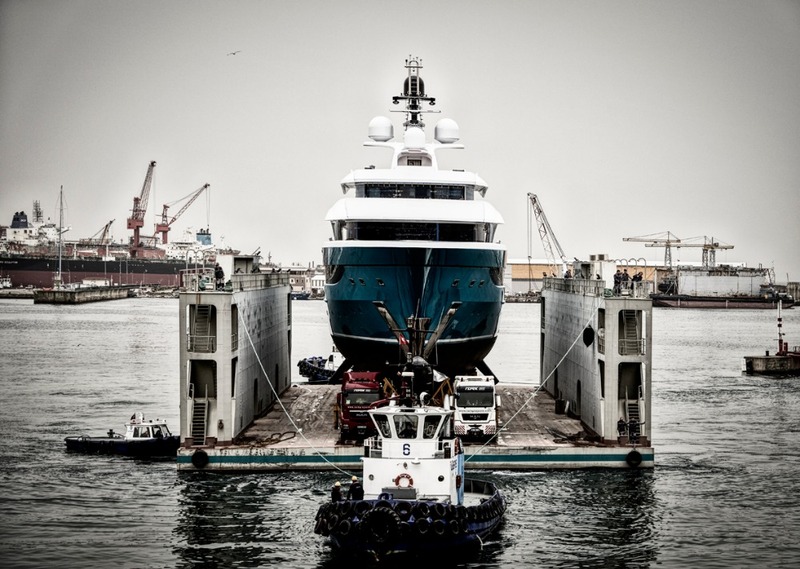 On 27 March, Turquoise Yachts launched 77m M/Y ‘Go’ at its outfitting facility in Pendik, Turkey – the yard’s largest launch to-date. 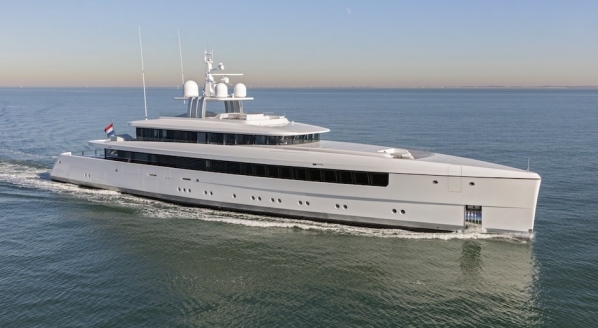 The yacht was previously known as project ‘Victory’ and was being built on-speculation until Burgess introduced a European buyer in September 2016, with the announcement of the sale coming in January 2017. 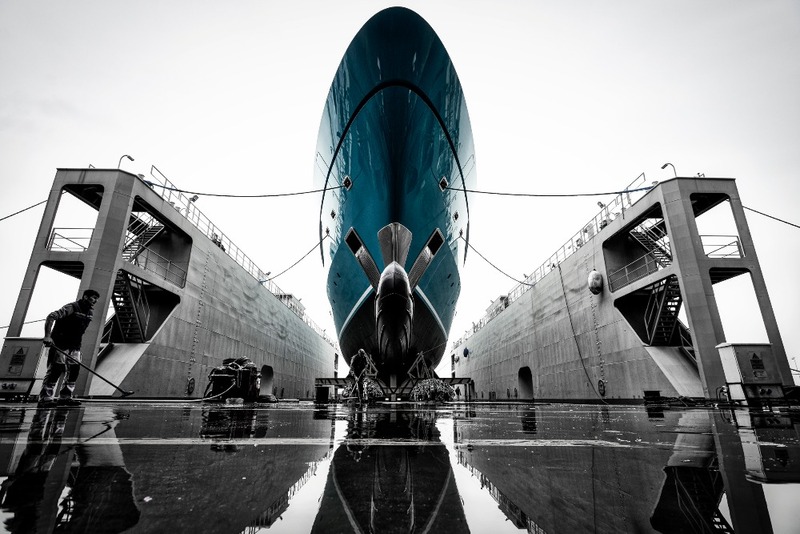 Go is a design evolution of 72m M/Y Vicky, which was launched in 2012 and is the yard’s largest delivery to-date. 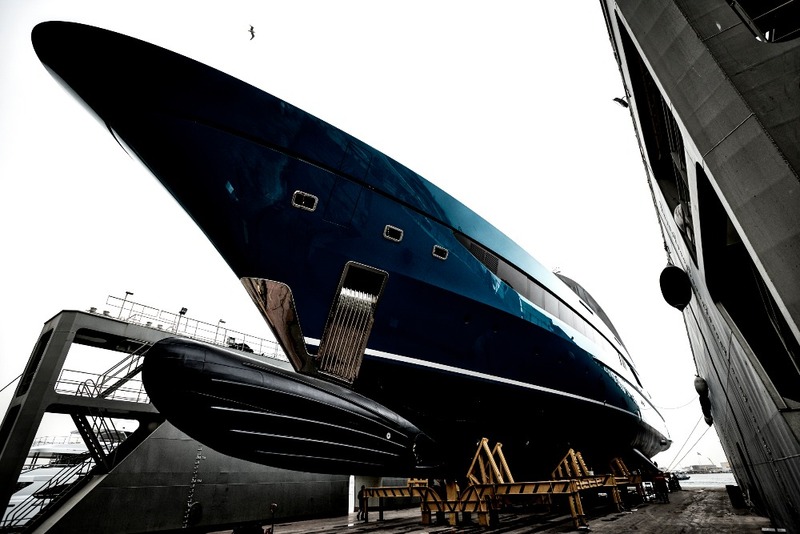 “There was an existing hull already under construction at the yard – a beamy hull that was 850mm wider than Vicky – and it was decided early on that our design would be for that hull,” explained Jonny Horsfield, owner and design director of H2 Yacht Design, when the yard first began to progress with H2 Yacht Design’s concept. Horsfield said that the brief for the interior, which was conceived in collaboration with Dr. Mohammed Al Barwani, the owner of the shipyard and acting client for the design phase of the project, was for “light, more light, and functionality”, for the simple reason that “light makes it feel large”. The buyer has since made some fairly significant alterations to the interior design of the yacht, however the general arrangement remains the same. The exterior is also the same, apart from the ‘island turquoise’ paint job, which was grey in the initial design concept. "When we examined the hull, we realised that we had enough beam to cater for an extra deck, so we produced a fantastic forward-facing owner’s suite with 180-degree floor-to-ceiling window views and a private deck with a Jacuzzi." Horsfield said that the relocation of the tender garage from the aft to the midships was a “significant alteration” to the design of Vicky. 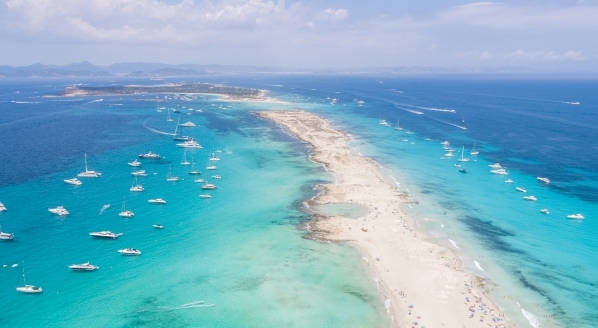 “We wanted to incorporate a large beach club into the new design and keep the area as clean as possible,” he added. 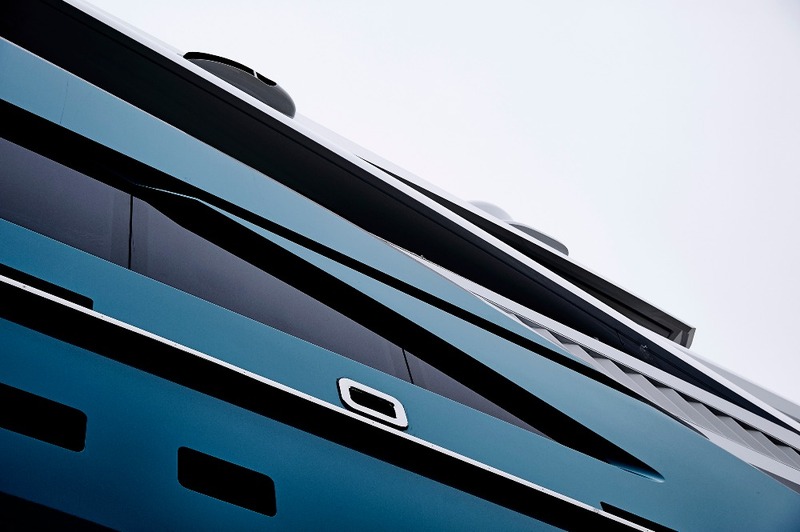 The 162m2 beach club has a transom with cutaway corners to enhance the ocean views. There is also a hatch built into the deck that folds up as the door to the beach club. 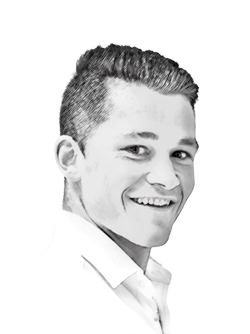 While these are minor details, they enrich the user experience and optimise functionality. 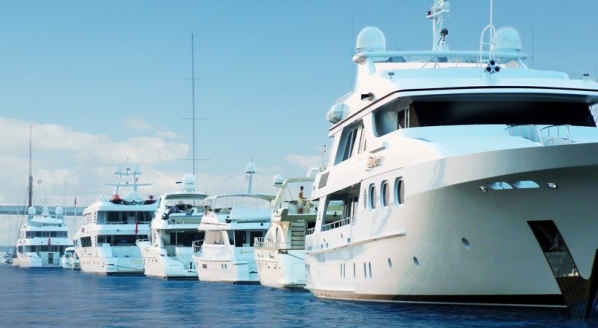 The tender garage relocation also allows the 20-person crew to be entirely self-contained on the lower deck, where they have easy access to the tender garage via a pipe tunnel and the engine room, leaving the main and upper decks free for the use of up to 18 guests. Other notable features are the non-certified touch-and-go helipad on the foredeck and a central elevator and staircase that access all decks. The yacht is due to undergo sea-trialling this month (April) and is scheduled for delivery at the end of May. According to data from The Superyacht Intelligence Agency, Turquoise Yachts has only delivered one yacht since 2013: 47m Razan, in 2017. 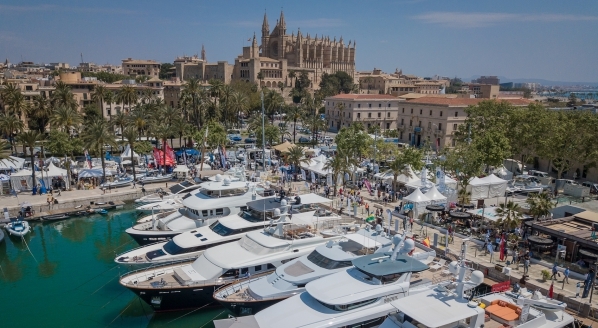 However, for the last 18 months or so, the yard has been pre-occupied with progressing with its in-build fleet and expects to deliver Go this year and three 60m+ yachts in 2019: 74m NB 66, 66m NL 233 and 56m NB 72.